Arch Finance is a key player in the stock market with hundreds of Arch Finance Sub Broker working under them across India. Arch Finance is the full-service stockbroker has its corporate office based out of New Delhi. The account opening and maintenance charges are relatively pricey as compared to other stock brokers in India. Being a full-service stockbroker, it provides research and recommendations to its clients through their in-house research team of experts. These tips and reports are at both the fundamental and technical level for long-term investors and short-term traders respectively. In this article, all details of Sub Broker, Franchise, Authorized Person and their Partner Review are discussed. Arch Finance is good to attempt. Taking all other ratings into yielding, the in general rating of the company is around 2.4 points out of 5 points. Arch Finance has medium rated on customer ratings. Customer Services are provided fairly but there are areas that can be improved, for services like Trading Platforms and Market Share. 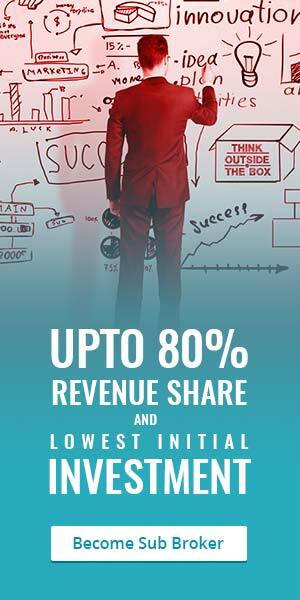 Arch Finance are known for the Revenue Sharing Model and Services. Arch Finance is a private entity firm, founded by Narendra Goushal. This stock broking company was founded in 1995 in New Delhi and by now the company has a presence in multiple Indian cities through its form-collection centers. Arch Finance associates with sub broker centers where users can open an account with Arch Finance. This broker is an associate of National Stock Exchange of India (NSE), Bombay Stock Exchange (BSE), Multi Commodity Exchange and MCX-SX. Arch Finance take 28 Days to Active SB Code and 3-4 Weeks for Payout Time. Arch Finance increases the number of stores in which customers are able to purchase their products or services will lead to their growth of the business. By business model allow their brand and rights of sale to a franchisee of branded products and services. Arch Finance Sub Broker are associated with a brokerage firm. Stock brokers are governed by SEBI Act. Arch Finance Sub Broker is not a Trading Member of a Stock Exchange but acts as agent or other assisting investors in the trade through such Trading Members on behalf of a Trading Member. The stockbroker only serves the investor as an agent for Arch Finance. Revenue Sharing Models for Arch Finance sub broker is discussed below. Arch Finance Franchise in exchange, the franchisee pays certain charges and agrees to meet certain requirements, normally provided for in a franchise agreement. Sub Broker has to provide Commission of range minimum 50% to a maximum of 80 %. Arch Finance franchisee has to pay a deposit to the franchisor; it must be refunded on termination of the franchise agreement; upon termination. Arch Finance sub-brokers operate by the broking ventures via high – end techniques and installations etc. in return they pay Security Deposit. Security Deposit is an initial part-payment in a Franchise process. Sub Broker has to pay Franchise Cost of Rs.25, 000 to Rs.300, 000. Infrastructure Requirement for Arch Finance is discussed. Business partner with Arch Finance is required to meet Infrastructure Requirement in meeting the business and social needs. Office area for business is not mandatory. Telephone lines are not required. Trading Terminals should be allowed to traders/ investors to place buy/sell order. Zero deposit is offered for the Sub brokers of the Arch Finance. Arch Finance Franchise allow Flexible Revenue Sharing to Sub Broker. Arch Finance supports thoroughly to their business affiliates in all aspects of the trading business. Offer Marketing Support, trade name Support and Back-Office Support. Research Support is provided to facilitate maintain clients. The training of Dealing and Product is offered which helps them to perform better with clients. The brokerage charges of the Arch Finance franchise are fairly easy and at par with the market charges. Arch Finance charge 0.20% for equity delivery. Arch Finance broker firm charge 0.02% for the intraday trading of the equities and also for equity futures, currency futures and also for commodities. The Demat account for trading is charged Rs.250 per Annum. Account Opening Charges for clients is Rs. 250. They charge 0.00311% as Transaction Charges. A margin deposit of Minimum Rs. 10,000 a trader needs to put up in order to open a leveraged trading position. Arch Finance franchise constantly boosts the range and provides customers with excellent services. Arch Finance sub broker helps to develop a complete customer financial requirements solution package.